We are just one month away from our 8th Annual Walk-A-Thon and 1st Annual 5k Run on Saturday, May 18th! We hope that you will spend this special day with us as we celebrate 10 Years of Service to women with cancer. The Annual Walk is one of our favorite events as we get to see so many members of our Mary's Place community. We cannot thank you enough for your support. 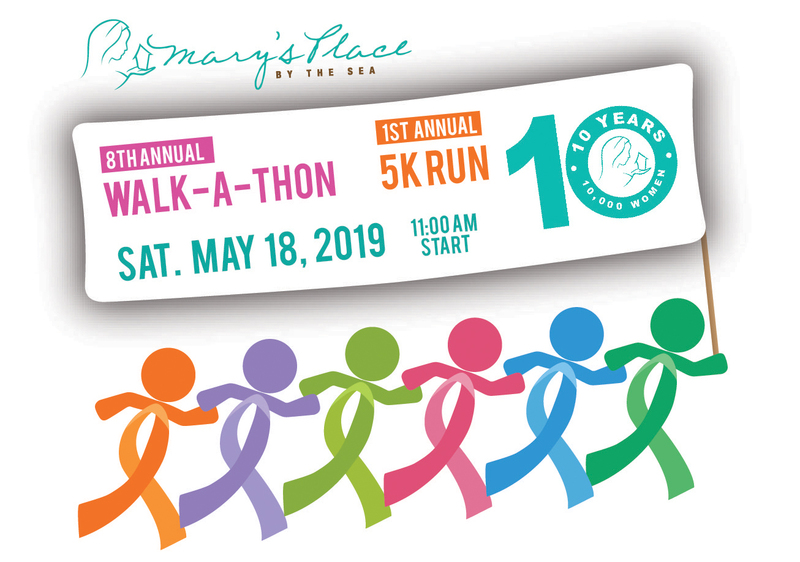 In this final month, we encourage you to rally your friends and family members to join you in walking, running, donating, or sponsoring this event! Let's walk together to help women with cancer to heal: mind, body, and soul.